Original intended pairing with motor no 49, Henry, delivered to Associated Canal Carriers. One of two wooden butties (Anne & Adelaide) in the Royalty class built by Walker's of Rickmansworth. 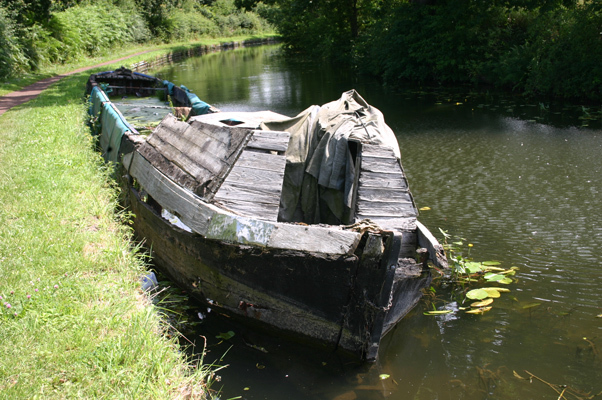 Sold to Thomas Clayton (Paddington) Ltd in 1943 and used as a rubbish boat. Believed to be bearing the name Adelaide, it used to have an under-cloth conversion. The stern used to have cavitation plates fitted when it was once motorised. Note the underwater plates clearly visibile in photo 3. 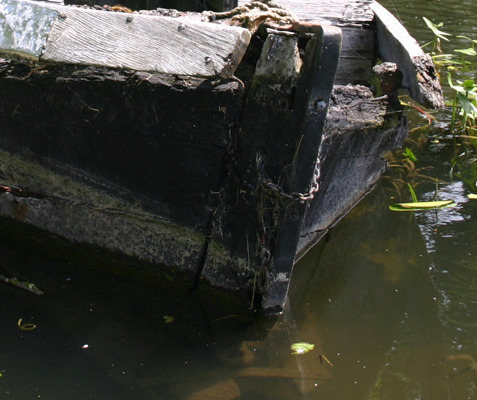 The mis-identification of the Anne and the Adelaide is presumed since it is known that a wooden butty called Adelaide was sunk at Harefield flash in the 1950s whereas the Anne was sold - see pp 12-15 in the club's Newsletter dated 2002/2 for further details. 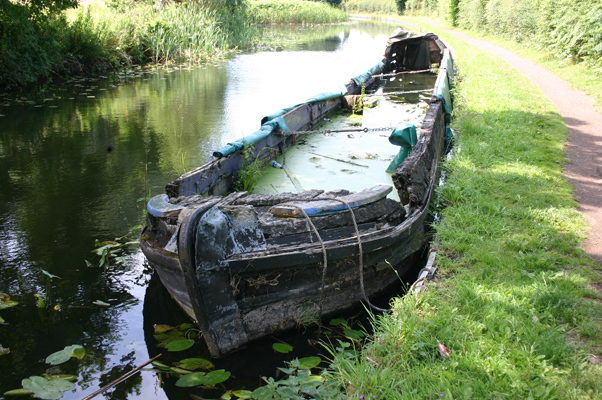 Photographs taken in July 2015 show the boat in a very sad state.